Raising children is a sacred calling--and not for the faint of heart. It shapes the parent every bit as much as parents shape their children. 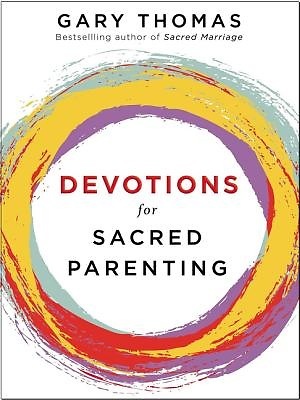 In Devotions for Sacred Parenting, Gary Thomas, author of Sacred Parenting, delves deeper into the conversation and contemplates the soul-transforming journey of being a parent. With all new material, 52 devotions explore the spiritual dynamics of parenting. These life-related devotions are creative, fresh, and encouraging, inspiring mothers and fathers to look at parenting from a different perspective--as a holy and high calling from God, and as an opportunity to grow spiritually as you strive to raise godly children. Devotions for Sacred Parenting helps you understand how God is parenting you as you parent your children.